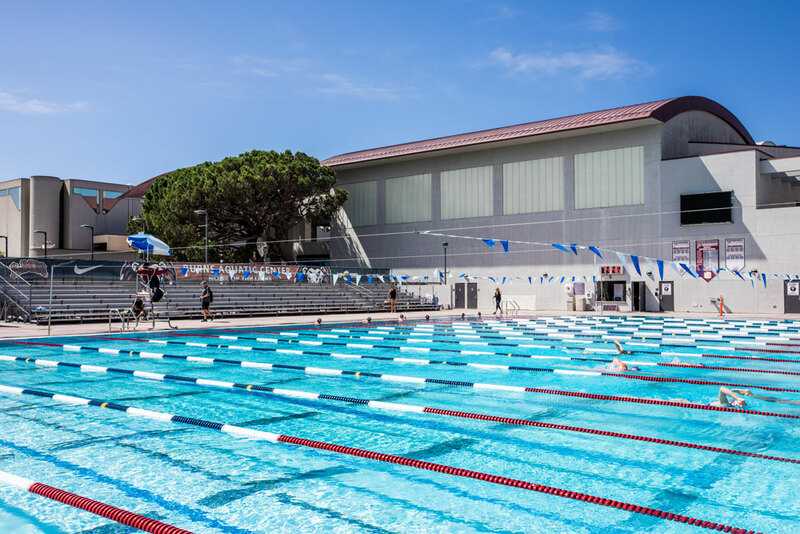 Since it opened in the fall of 2000 as the home of Loyola Marymount University aquatics, the Burns Recreation and Aquatics Center has become one of the premier facilities for aquatics in the nation. Its resume is impressive. The Burns Center has seen the Lions claim 17 championships, earn 185 wins and has been host to two NCAA championships in just 11 seasons. The Burns Aquatics Center has helped the men's and women's water polo team claim eight conference titles each, and then the women's swim team winning their first title in 2008. In addition to hosting the two NCAA Men's Water Polo National Championship in 2002 and 2006, LMU has also hosted four Western Water Polo Association Championships - two for the men (2001, 2005) and two for the women (2003, 2008). The Lions have won three of them, both for the men and then in 2003 for the women. The Lions have thrived in the state-of-the-art facility, earning a record of 155-48 in eight seasons. The men's team went a program-best 4-1 (.800) in 2010, are 10-1 the last two seasons combined and have compiled a record of 73-32 (.695) during its stay at the Center. Their best record came in the pool's first season in 2000 as they went 10-2 (.833). As for the women's team, they won their first 21 games at the Burns Aquatics Center and have posted a 112-20 record (.848) in 11 seasons, going a perfect 14-0 in its first season in 2001 and 10-1 in 2010 and 2011. They are 20-2 the last two seasons under Head Coach Kyle Witt. In 2007 they won 11 straight at the Burns Center to go 11-1 and then posted a 12-5 mark in 2008. The Burns Center is home to the on campus recreation center, which sees thousands of community members, students, faculty and staff through its doors each day. Included with the facility, which celebrates its 10th Anniversary in 2010-11, is the Olympic size pool that is part of the $20-million Burns Rec Center and serves as the home venue for men's and women's water polo as well as LMU swim meets. One of the premier aquatics facilities in Southern California, the Burns recreation center pool is heated and features an advanced deck-level drainage system. There are separate locker rooms for home and visiting teams as well as office space and meeting rooms for the LMU aquatics' coaching staff. Adjacent to the pool is permanent bleacher seating with a normal capacity for 800 fans. Added to the facility in the fall of 2001 was a state-of-the-art scoreboard. The scoreboard from Colorado Timing Systems features scoring systems for both water polo and swimming, including the touch-pad timing for eight swim lanes. The fully digital system includes matrix and video capabilities and was installed thanks to the donations of Albert Gersten. In addition, a new audio system was installed prior to the start of the 2009 women's water polo season.